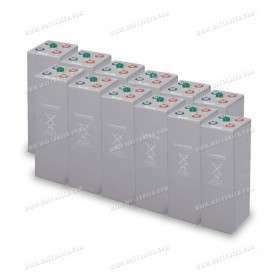 OPzV batteries are based on tubular plate technology and the fixing of the electrolyte as gel. 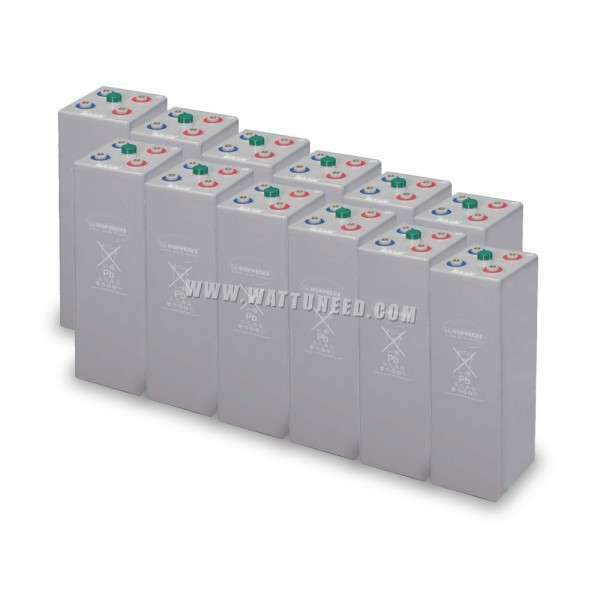 The construction as sealed batteries makes HOPPECKE OPzV batteries maintenance free. 3 821,66 € tax incl. By buying this product you can collect up to 382 loyalty points. Your cart will total 382 points that can be converted into a voucher of 114,60 €.
" 12 kWh batterie OPzV 24V battery park "
OPzV batteries are based on tubular plate technology and the fixing of the electrolyte as gel. 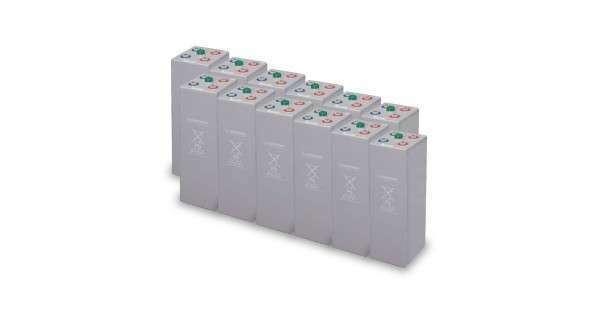 The construction as sealed batteries makes HOPPECKE OPzV batteries maintenance free. Using tubular plates in combination with woven gauntlets at their positive tubular plates, HOPPECKE OPzV single cell batteries offer an extreme high cycling expectancy. The electrolyte of HOPPECKE OPzV single cell batteries is fixed in gel with fumed silica what causes even the option of a horizontal assembly. So the OPzV product range is optimal for application in sectors with high number of discharges like for example solar systems as well as for long discharge operations for example used in IT/ Telecom or safety light applications. 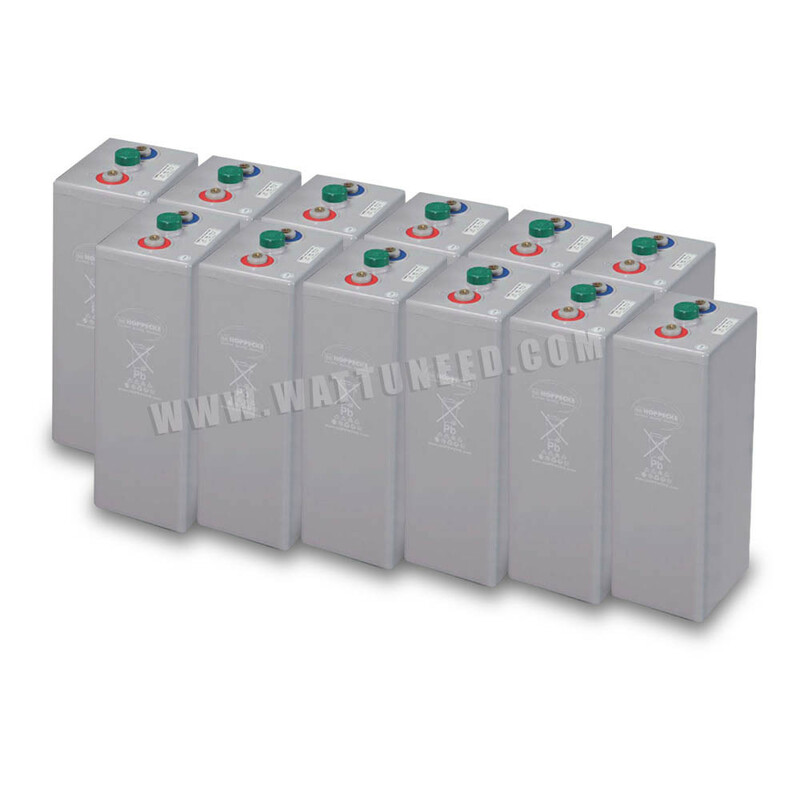 The design as DIN-product in accordance to DIN 40742 gives highest compatibility by changing existing battery systems or integration in case of enlargement of already existing batteries. HOPPECKE single cells of the OPzV type series have a live expectancy of up to 18 years and a cycling expectancy of up to 1200 cycles with 80% depth of discharge. discharge level and meet with EUROBAT classification “Long Life”.